Would You Like A Little Oil In Your Tea? Feel a little stupid now? 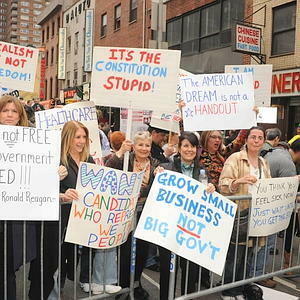 Has anyone noticed how little we seem to hear from those pesky Tea-Baggers since the Gulf oil rig disaster. Remember those crazies running around with their tri-cornered hats and “Don’t Tread On Me” flags while railing against an activist government? 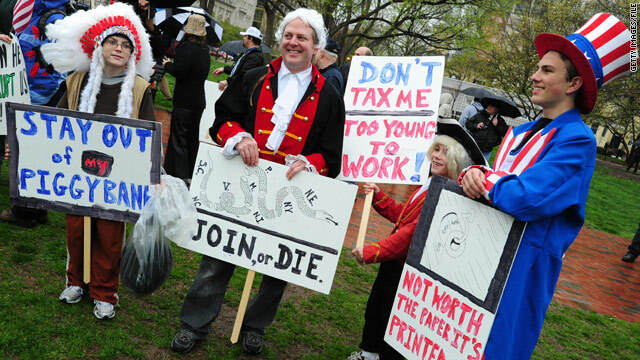 Remember when Tea-Baggers were all the rage as they vowed to “take back the government” in the upcoming elections? Well, a funny thing happened on the way to their coronation. The BP oil spill actually illustrated the need for an activist government. This recent environmental disaster caused by private BP (does that stand for “Biblical Proportions”?) has put the Tea-Baggers in that uncomfortable position of being between a rock and a hard place. It has become absolutely clear that a lack of strict governmental regulation (which the Tea Party advocates) of deep water oil drilling allowed a private industry to take safety shortcuts which ultimately caused the oil spill that is now devastating the Gulf Coast states. In other words, in this instance the stated objective of the Tea Party has proved to be detrimental to the health (both personal and economic) and safety of American citizens. 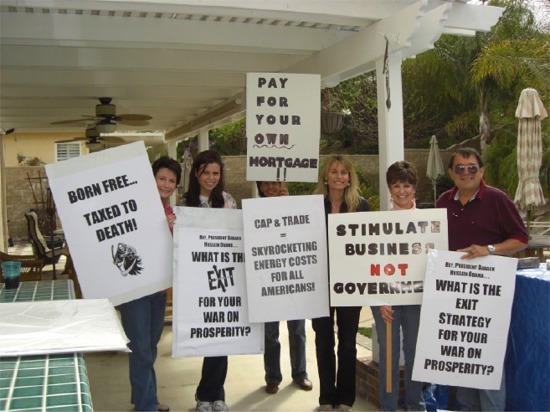 For the past two years Tea Party activists have been vehemently criticizing the Democrats’ and the Obama administration’s penchant for what they consider to be over-regulation of the private sector. Despite an unsustainable health care system, they opposed any federal remedy. Despite the worst economic recession since the Great Depression, they opposed the federal stimulus package aimed at jump-starting the economy and getting people back to work. And most vividly of all, they opposed regulation of the oil industry based upon environmental concerns by means of celebrating Sarah Palin’s mantra of “Drill Baby, Drill!”. Since the oil spill occurred some of the newly crowned leaders of the Tea Party movement have made some ridiculous statements in an attempt to address the situation. For instance, Kentucky Senate nominee Rand Paul refuses to blame BP for the disaster. He simply refers to it as “an accident”. Paul has also called President Obama “un-American” for his efforts to hold the British owned oil company accountable for its negligence. Nevada Senate nominee Sharron Angle has actually called for the abolition of the Environmental Protection Agency. Wildest of all, Sarah Palin, the ex-quitting half-term governor of Alaska, has blamed the environmentalists for the oil spill and has blamed the slow remedy and clean-up on Obama because she claims he is in the pockets of the oil industry. The Tea Party’s non-regulation message and moonbat crazy pronouncements however, are no longer resonating with the American people. As the Boston Globe pointed out on Thursday, “According to a CBS News poll, a majority of Americans now oppose offshore drilling, and nearly two-thirds say Obama should be doing more to stop the spill. This desire for more aggressive government action is the antithesis of the Tea Party ethos.” Additionally, the Boston Globe revealed that a Washington Post/ABC News poll this week revealed that half of Americans hold an “unfavorable impression’’ of the Tea Party, up from 39 percent in March. Turn out the lights Glenn Beck, the party’s over.